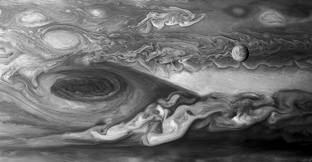 On September 26th, NASA released photos taken by the Hubble telescope that showed evidence of geysers on Europa. The photos, taken in January, March and April of 2014, were not released until initial analysis was completed and researchers were reasonably sure of what they were seeing. The research teams complete findings will be published in the September 29th issue of the Astrophysical Journal.